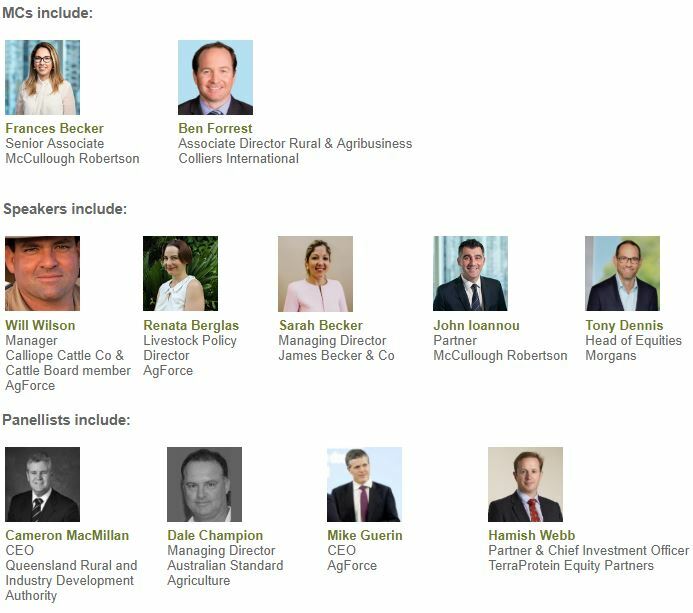 As we celebrate all that is beef during Australia’s premier beef expo, Beef Australia 2018, we invite you to join innovative industry minds for the Emerging Beef Leaders’ Forum. The Forum will play host to a number of distinguished professionals who are not only passionate about beef production but at the cusp of change, innovation and progress in the industry. With a recount of their tales from the paddock they will address issues confronting the modern day beef producer mapping out their future vision for the Australian Beef Industry. Immediately following the panel discussion, canapes and refreshments will be served while you network with the beef leaders of today and tomorrow.